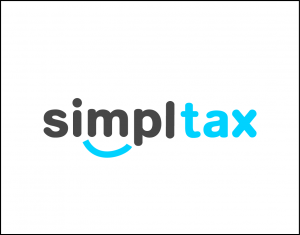 What services do Simple Tax Returns Ltd offer? Simple Tax Returns specialise in maximising tax rebates and getting them fast. There are no upfront fees and our average rebate is £2500! We have a 24 hour Rapid Refund service and 96% of our reviewers recommend us! If you’d like to claim your rebate, or just find our more, check the box on the Marquee Contracting Ltd registration form and one of our Tax rebate specialists will give you a call. Marquee Contracting Limited have partnered with Simple Tax Returns Ltd, to enable our sub-contractors to submit their yearly Self-Assessment Tax Returns to HMRC with ease. By ticking the ‘Refer me’ box on our registration form, you are opting in for Marquee Contracting Ltd to pass your details (Name, DOB, Telephone Number, Email address, Postal address, UTR & NI Number) to Simple Tax Returns Ltd. From here Simple Tax Returns Ltd will contact you for a free impartial conversation to see if their services meet your needs. If you decide not to sign up with Simple Tax Returns Ltd, they will destroy all information Marquee Contracting Limited have passed to them.